Perched at the end of Tesuque Overlook in Monte Sereno, this 5 year old Woods Construction masterpiece and former Parade of Homes award winner - exemplifies that rare combination of spectacular views and truly beautiful architecture. 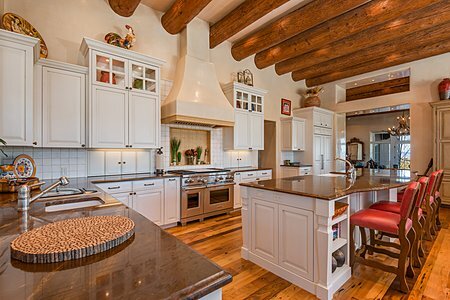 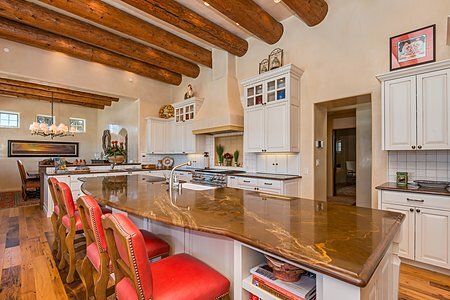 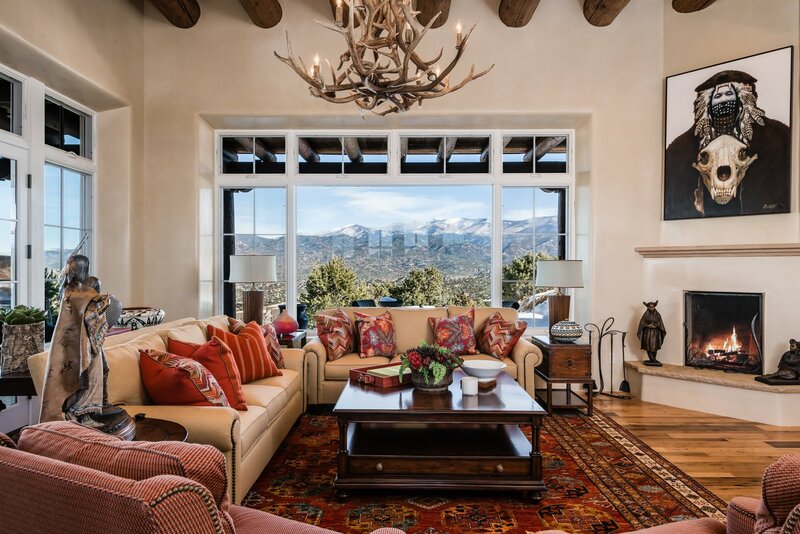 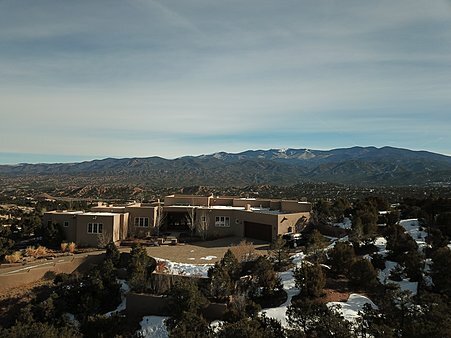 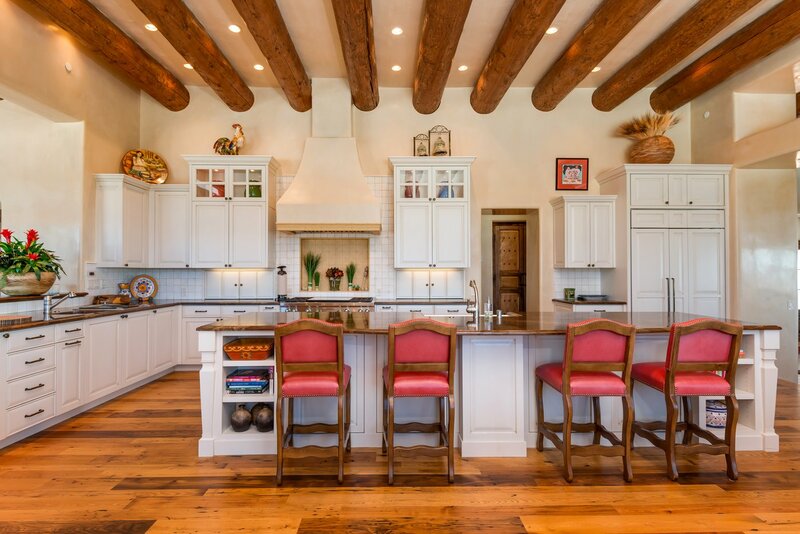 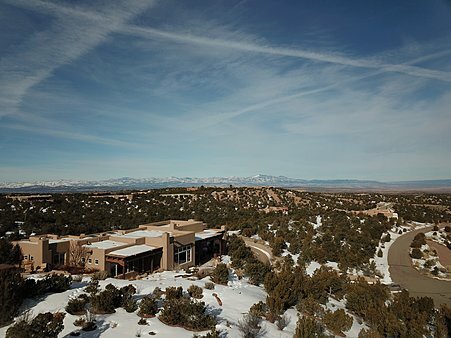 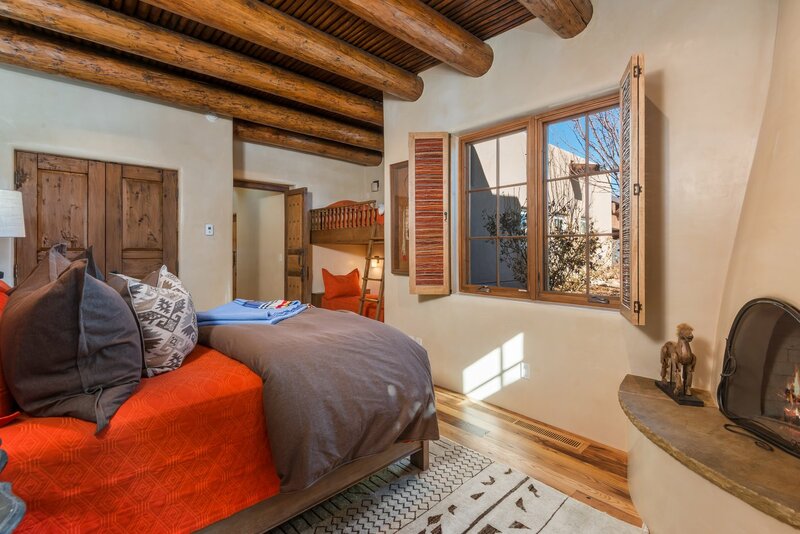 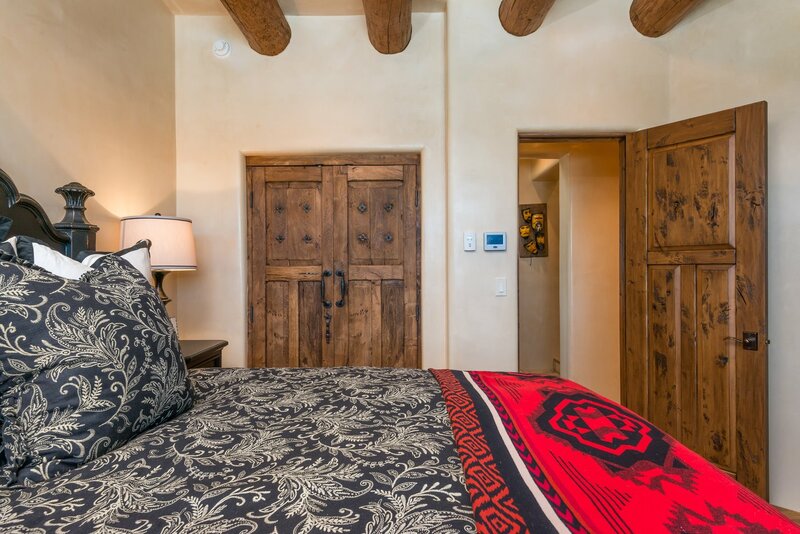 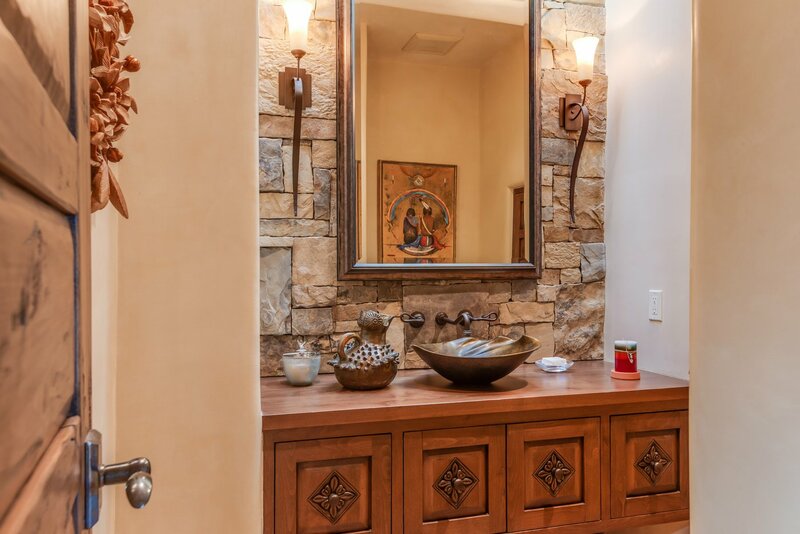 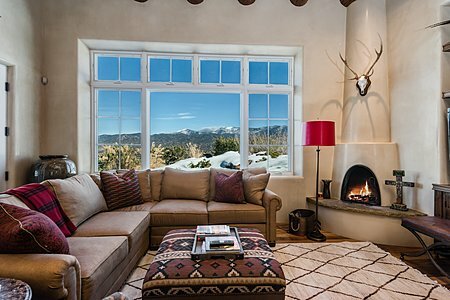 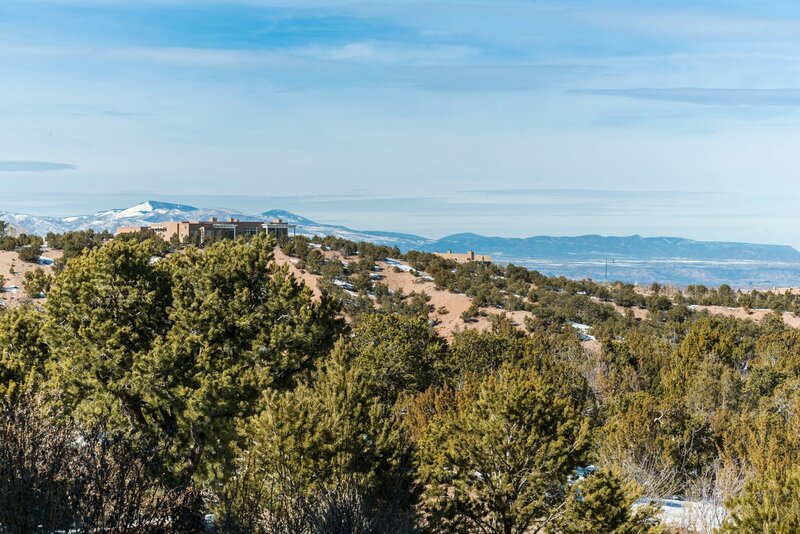 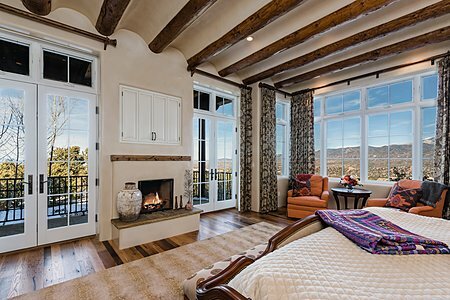 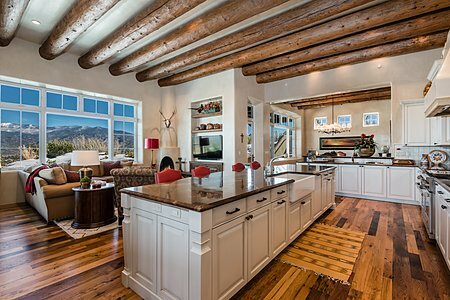 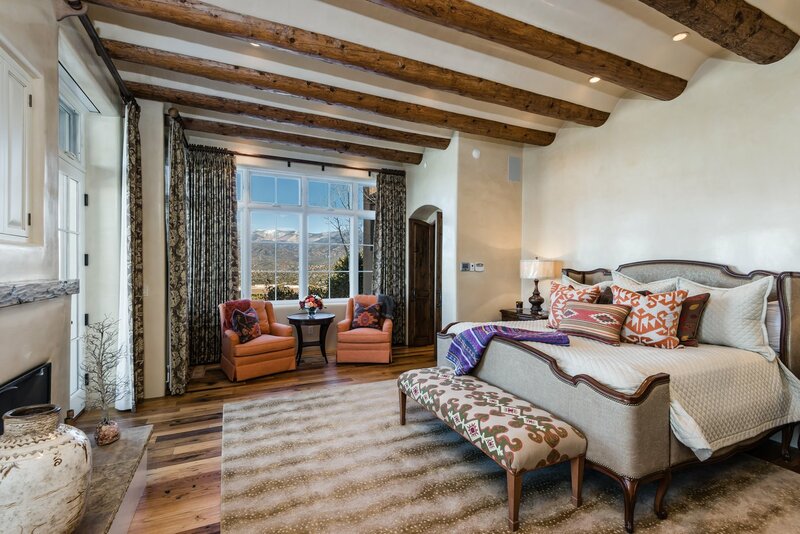 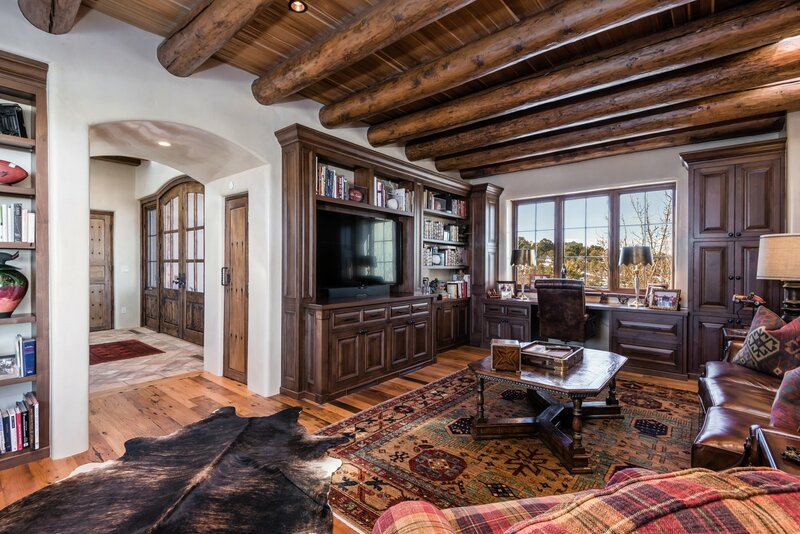 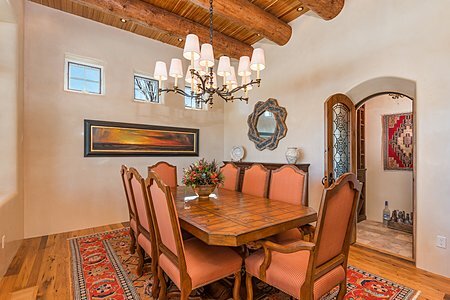 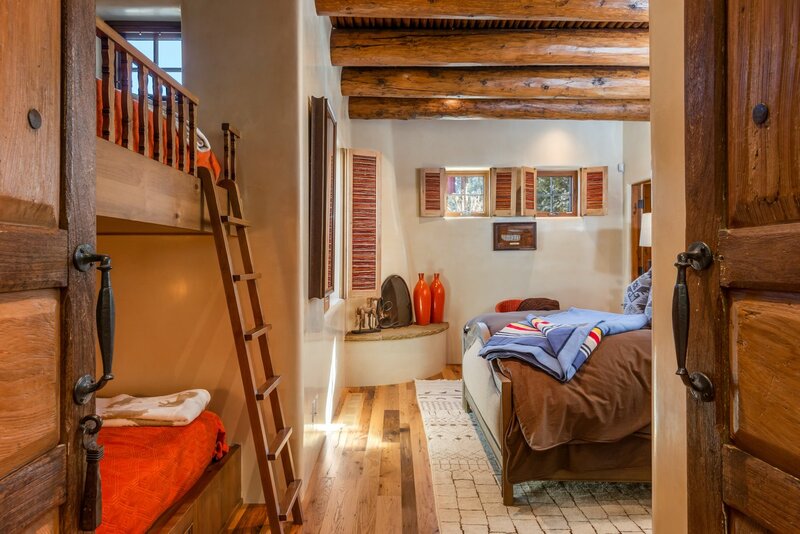 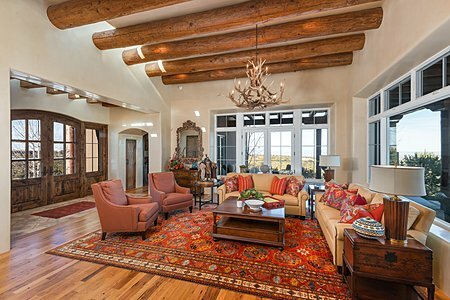 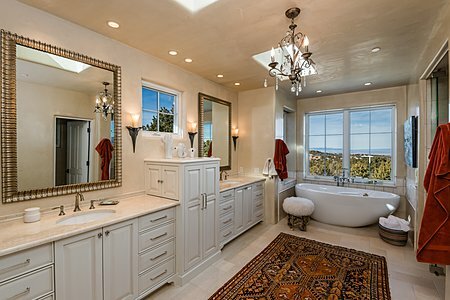 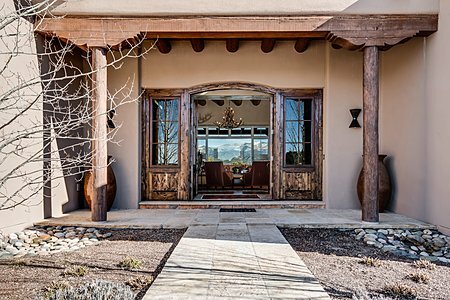 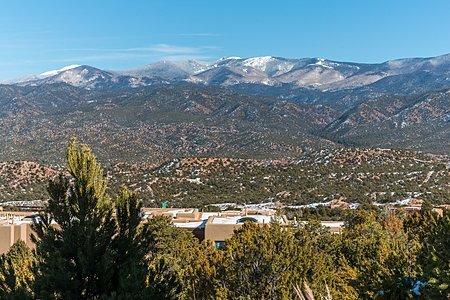 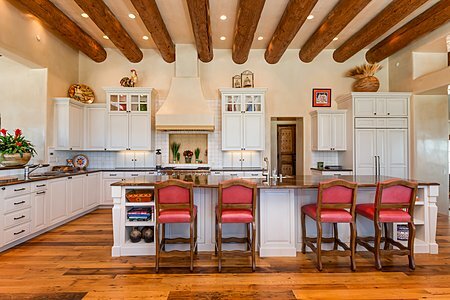 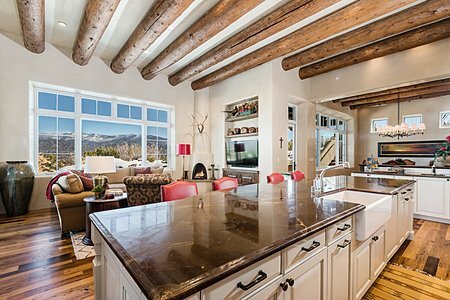 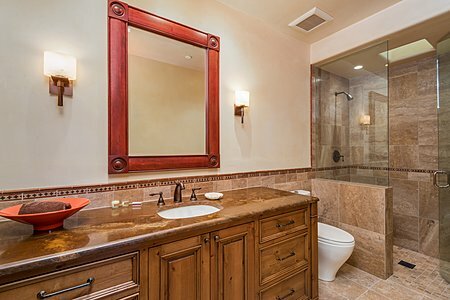 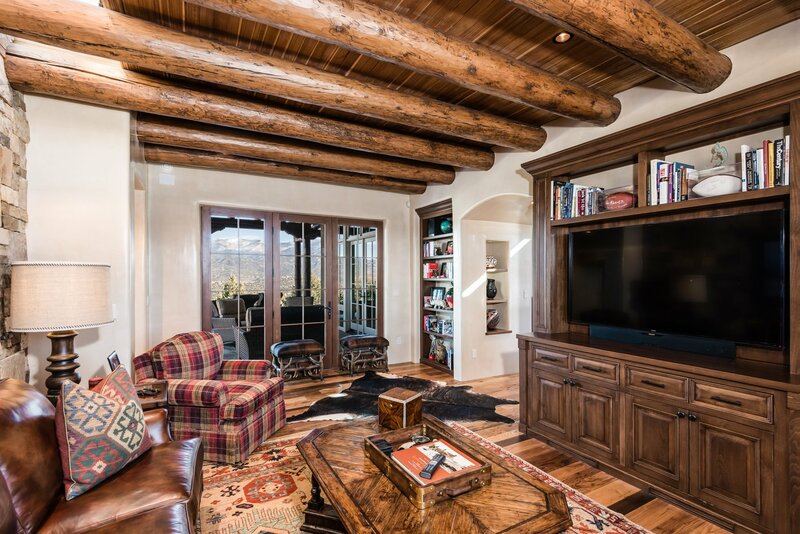 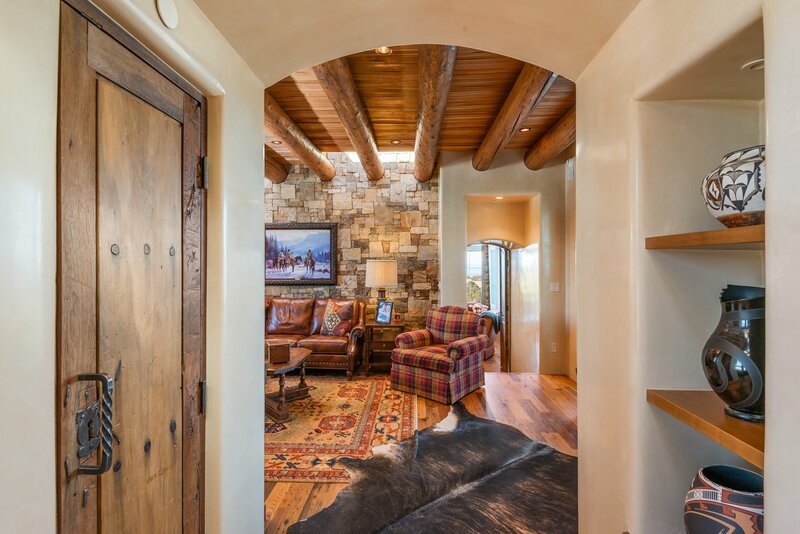 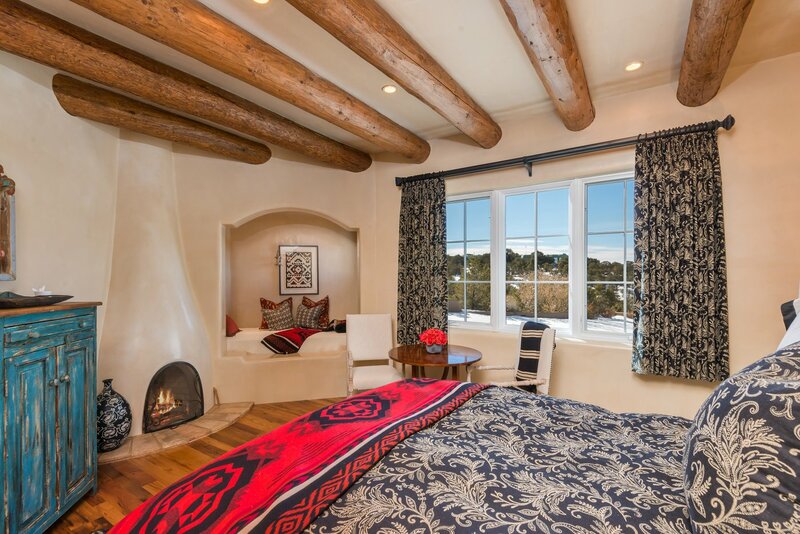 This traditional Santa Fe home with 3 bedrooms plus study and family room is surrounded by views of the Sangre de Cristo Mountains, the Jemez Mountains, and the north Badlands, and offers finishes and features seen only in Santa Fe's finest homes. 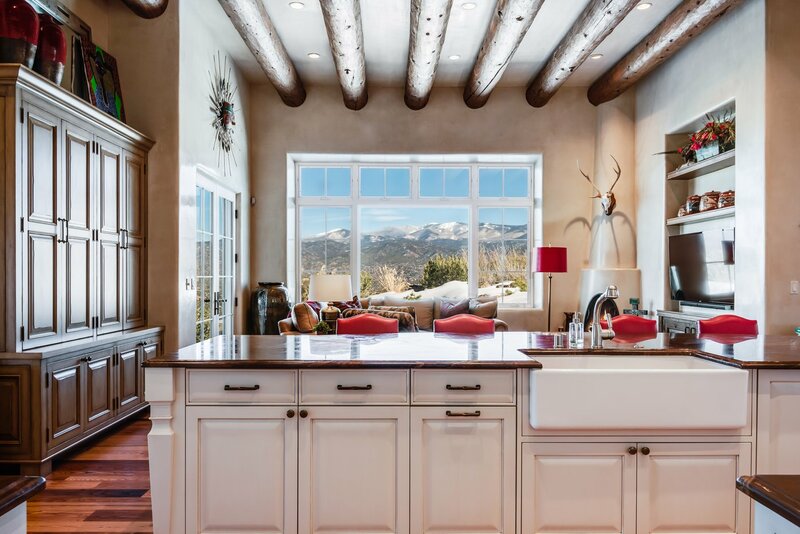 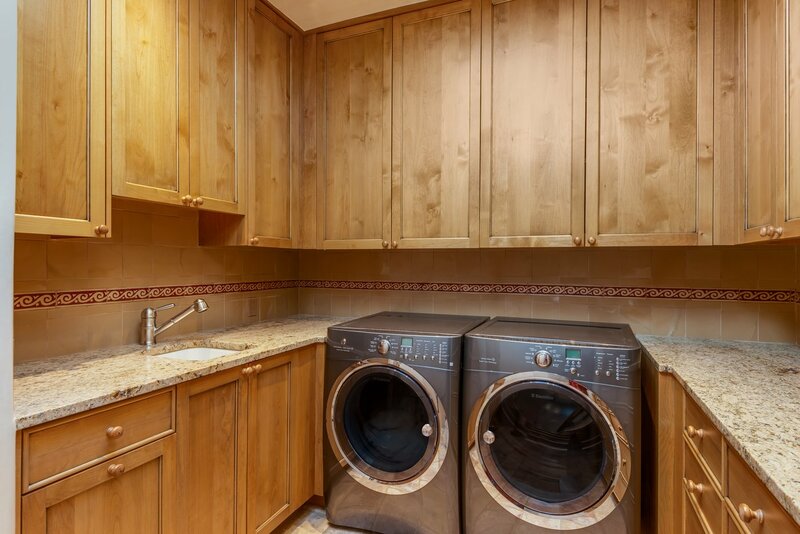 The large gourmet kitchen is an open concept with high ceilings and flows to the dining and family room, features Wolf, Sub-Zero appliances with generous counter space - and looks off the the Sangre's. 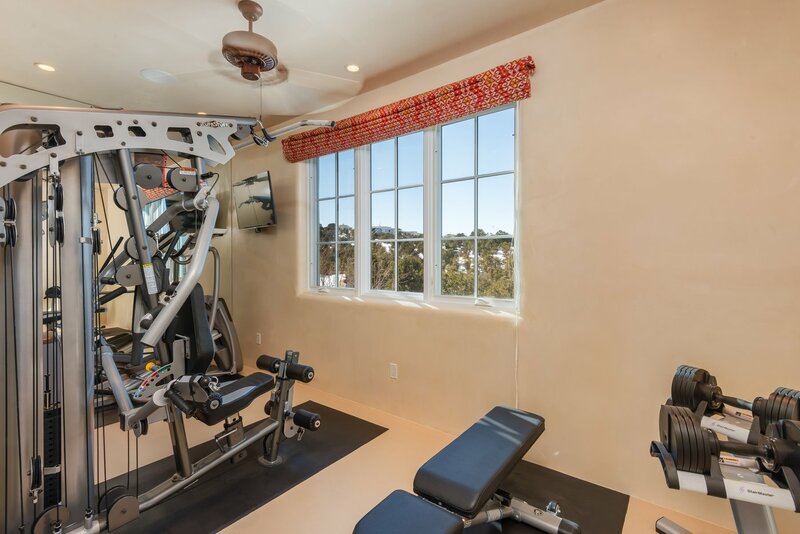 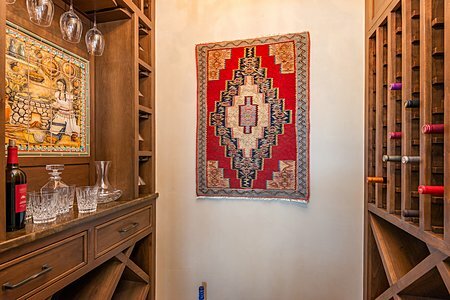 The owner's suite sits at the north end of the home and has 270 degree uninterrupted views and has its own private portal, luxurious bathroom, and workout room. The living room looks like a Ralph Lauren model, framed with double views that make for a truly inviting entrance to the home. 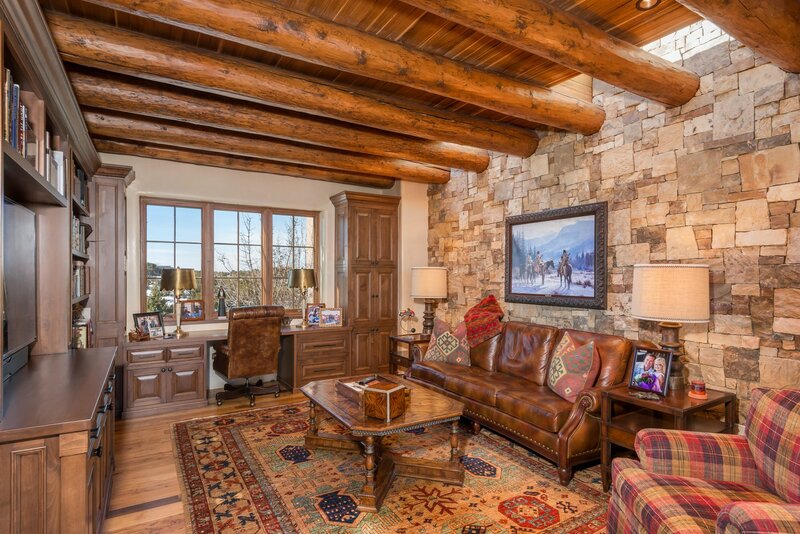 The study provides a respite for both movie watching and a working office from home, and showcases a rich stone wall and cozy hardwood floors. The main portal is like an outdoor room and is ideal for entertaining and dining, and also shares the same pedigree of views as the rest of the home. The privacy afforded by being the top home is evident in every room, as well as the thoughtful materials, colors, and textures used throughout.